Any one of us can end up the victim of a crime. 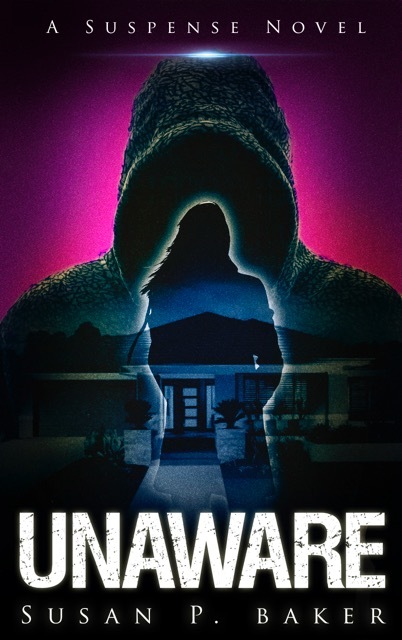 Today's guest, Susan P. Baker, took inspiration from her experiences as a lawyer for her novel Unaware. If this essay is any indication, get ready for some major suspense! 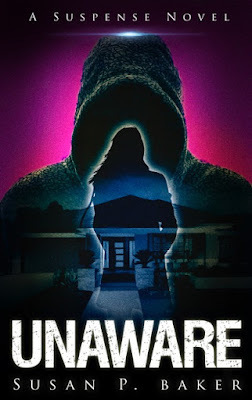 UNAWARE is loosely based a case I handled when I first started practicing law. At the time, I was married to my first husband. We were the parents of two young daughters. My husband traveled a lot on the job, which was necessary but could be annoying when I was trying to get a law practice off the ground and parent the children at the same time. We did not have an au pair, couldn’t afford one. My father had been an attorney but was on the bench when I won my law license. One night, when my husband was out of town, I went to a meeting and was out too late. The girls were old enough to stay by themselves. I stopped off at the grocery store on the way home and noticed when I was almost to my house that a car had been following me. When I pulled into my driveway, the car stopped and parked in front of the house opposite mine. I immediately backed out and drove away, hoping to lead the person away from my children. We didn’t have cell phones back then. I drove a short distance to my sister’s house, jumped out, and ran inside. My brother- in-law drove to my house to check things out while my sister and I called the police. When they found no one there, I went home, having become aware of how easy it would be for someone to hide around my house, what with the hedge next to the front door. I pulled into the garage, put the door down, ran inside to check on the girls who were okay, and got the butcher knife out of the drawer and put it under my pillow. We didn’t have any guns. I had a hard time sleeping that night. The following day I bought a .38 revolver. At that time, I was building my family law practice as well as practicing criminal defense law. I shared an office with two of my father’s former law partners. They were much older and often gave me advice. One of them had the messiest office I’d ever seen, but he had a brilliant mind and could cite law that I’d never even heard of. In one of my cases, a beautiful, young woman with long, blond hair came to see me about her situation. She hadn’t been married to her husband very long but was ready to get out because he’d become violent almost as soon as they’d said “I do.” He worked on the wharves and had a very sharp cotton knife that he threatened her with when she spoke of leaving him. He was a few years older than she was and fairly good looking. His father was a big-wig in the longshoreman’s union and had bailed him out of trouble many times. I took the case against the advice of the other lawyers because she didn’t have much money and had been turned down by other lawyers who were afraid. It wasn’t long before she told me that her husband threatened to kill her and me. We tried our best to settle the case amicably. The man’s father even came to see me in my office. He knew my father. He said he’d make his son settle the case, pay the money he needed to pay, and he even gave me a pendant of a gold leaf. Anyway, clearly the inspiration for UNAWARE came from my law practice. Frustrated with the two controlling men in her life, Dena Barlow Armstrong has outlined a rosy future for herself and her children, independent of them. Her husband, Zack, constantly pushes her to turn over her inheritance to him and, when she doesn’t, he punishes her with his indifference. Her law partner and cousin, Lucas, controls her money and the types of cases she accepts. Learn more about Susan P. Baker on her website. Appropriately for Mother's Day, my guest is Angelique Conger, who explores the concept of motherhood in its most ancient form in her novel Eve: First Matriarch. My first child was due in December of 1974. Being “large with child” my thoughts turned to other women whose children were important at that time of the year. I naturally thought of Mary, the Mother of Christ and her delivery of that sacred child. Then, I began to think of our first mother, Eve. So little is known of her. There are but a few sentences regarding her in Genesis and over the centuries she has been villainized. I began to wonder about her, especially as I carried my first child, I wondered about the birth of her first child. I would have a clean hospital bed and doctors and nurses who had helped mothers give birth many times. Who was there to help and support Eve? Were there angels? Was it Adam? If so, how did Adam get the knowledge he needed to help her safely give birth to their first child? I wondered. I thought. I questioned. I gave birth to that son and four more children. Each child brought my thoughts back to Mother Eve. How did she manage? In college, I took a class in creative writing and attempted to tell the story of this important Mother—and failed. I tried to tell it from the outside looking in. I got nowhere with the story. Later, I tried again, and failed once more. I believed I could not write her story, could not discover the answer to my questions. It came to me to try once more to learn the story of Eve. I changed the perspective, writing from her point of view, thinking as she would think, and the story flowed. I learned all the answers I sought, and more. I learned about being the only woman with the only man on earth, their struggles, their difficulties in discovering and inventing. I learned much more than was finally included in my book, because I had to focus. That focus became the focus of my earlier questions. 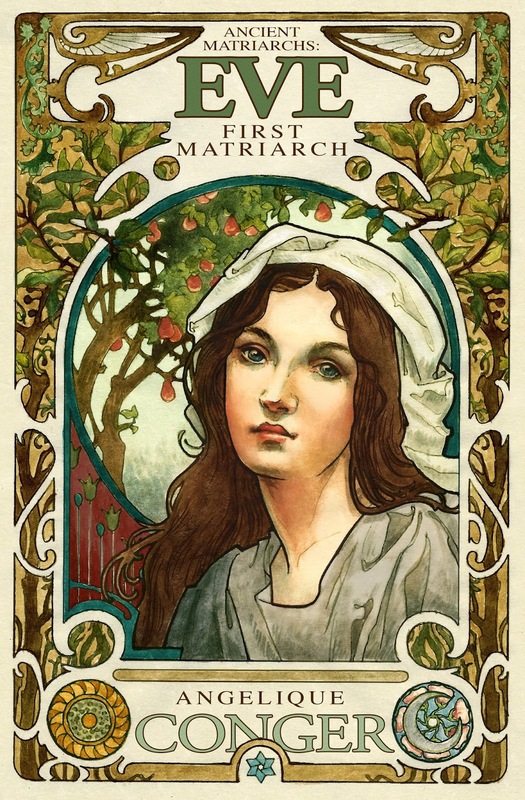 How did Eve handle becoming a mother, and from whom did she receive help? I hope you will enjoy my discoveries in Eve, First Matriarch, and in the following books about the wives of the other patriarchs. Eve wants nothing more than to fulfill God’s two commandments: live in absolute obedience and replenish the earth with her children. But the power of the Destroyer is strong, and when she’s told she has a chance to fulfill the second commandment by breaking the first… she takes it. Expelled from a garden paradise into a wild, dangerous world, Eve learns that her failure to obey will someday cause her to die. With a limited time to teach Jehovah’s commandments to her children, she’s devastated when the Destroyer starts to lead them astray. Can Eve overcome evil to teach her children obedience and happiness? Eve: First Matriarch is a reimagined story of the biblical figure of Even. If you like rich historical fiction, feminine perspectives, and illuminating stories of motherhood, then you’ll love Angelique Conger’s debut novel. 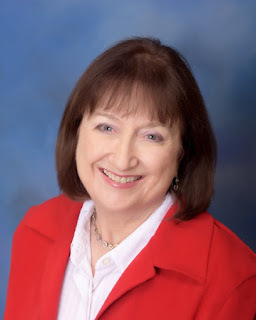 Learn more about Angelique Conger on her website, Facebook, and Twitter. You can purchase Eve: First Matriarch on Amazon. Our well-traveled guest talks about how retirement led to the freedom to create a character close to her heart. 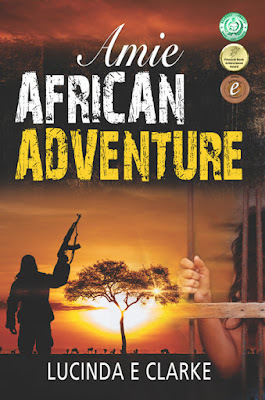 Please welcome Lucinda E. Clarke, author of Amie: An African Adventure. After thirty plus years writing for other people who knew what they wanted, and my eager compliance (despite the propaganda) which allowed me to bank the cheque and support two children, one husband and a St Bernard with a voracious appetite; when I retired I became my own boss. Finally I could write what I wanted. Enter Amie Fish, the shy, quiet, rather spoiled, newly-married first world girl living close to family in the London suburbs. It was time to drag her out of her comfort zone and send her to Africa. I gave her a while to settle in, make friends and discover the beauty and majesty of the Dark Continent. Then the first crisis arises as she’s coerced into filming, first propaganda for the government, and then the results of atrocities that signal the coming civil war. When the hostilities break out in the capital she gets caught up in the fighting and lands in prison. From then on it’s a struggle to survive. I’ve drawn on my extensive experience of Africa in all three of the Amie novels. I was so fortunate to go where few tourists or residents ever go, from witchdoctor’s huts to chief’s kraals, to meeting royalty, presidents and peasants. I was often the only European for miles around as I worked deep rural with my filming crew. who will kill her if she does not obey. She changes from meek housewife to trained killer, someone who no longer officially exists, facing dangers she would never have envisaged. My biggest inspiration for writing the series is to share the truth about the real Africa, to share with people the raw, savage reality besides the warm, friendly people and open the readers’ eyes to a very different world. 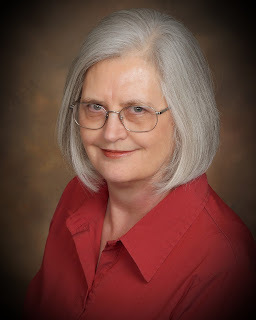 Learn more about Lucinda E. Clarke on her website. You can purchase Amie: An African Adventure on Amazon. If you feel like you've heard the title of this novelette before, you're right. 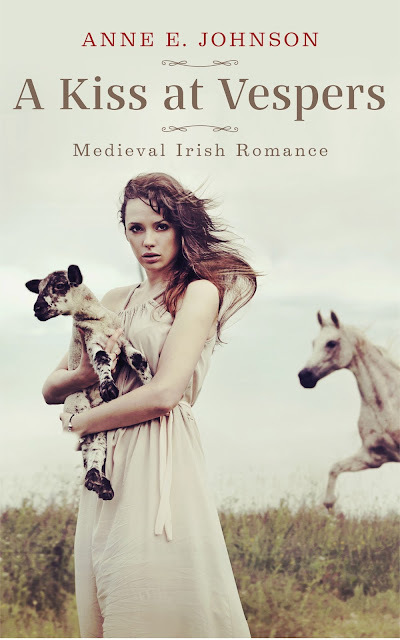 A KISS AT VESPERS was originally published in 2013, but now I'm re-releasing it. And there's nothing like a shiny new cover to make folks notice. Isn't it lovely? There's a baby goat!! Sweet and romantic, just like the story. Want to read the book? You don't have to wait long. The e-book will be available on June 1, 2017.